Sellers Comments-Bought last summer for work and has been used every day without fault. Runs well with usual Land rover brakes and virtually non existent heater. Underneath is clean and sound, bodywork has all the usual dents and scratches which is what I like about it. New shocks and shoes all round, poly bushed, Master cylinder etc. Recently serviced by land Rover dealer oils, brakes (which are much better but never great) Safari top and Mot until July 2016. 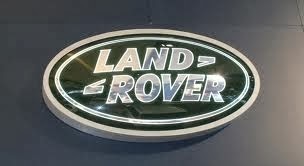 Land Rover 109" Series 3 Diesel. 1979 LAND ROVER 109" - 4 CYL BLUE Series 3. 1952 series 1 - 80"